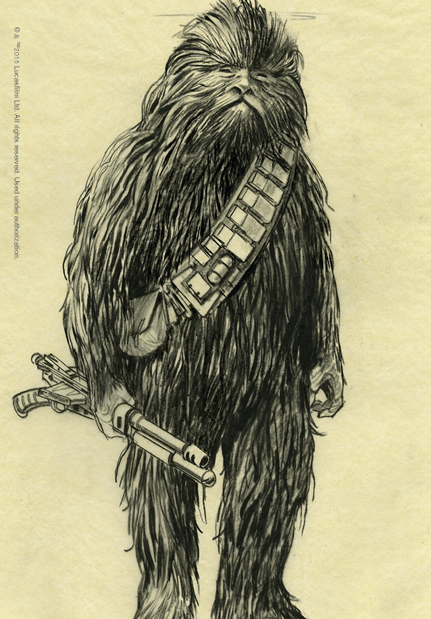 The towering Wookiee Chewbacca, a fierce but kindly fur-covered alien, is the loyal sidekick to Han Solo in Episodes IV, V, and VI. 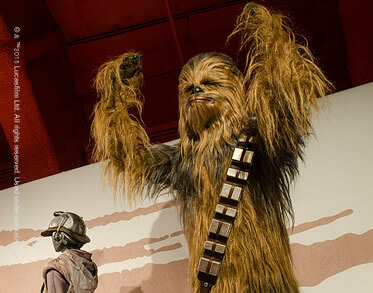 Designed by concept artist Ralph McQuarrie and produced by Stuart Freeborn, the expressive costume is made from yak hair and mohair. 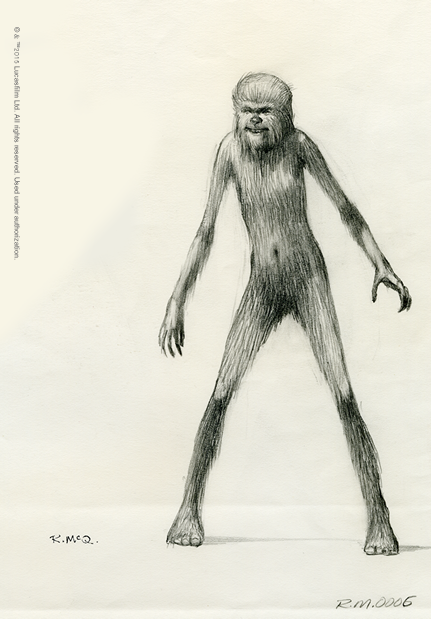 George Lucas collaborated with Freeborn while he was working on the prototype, and explains: “We were trying to do a combination of a monkey, a dog, and a cat. 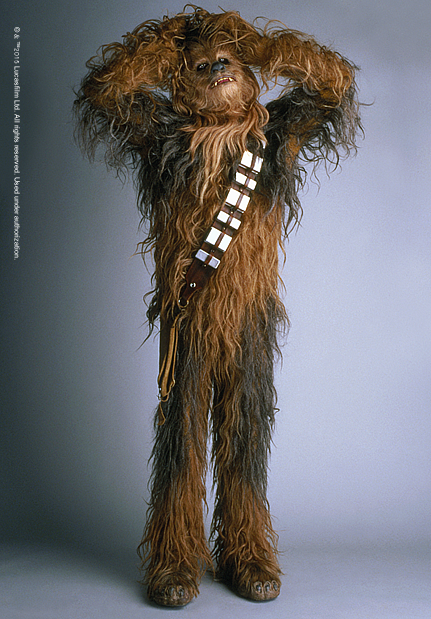 I really wanted it to be cat-like more than anything else, but we were trying to conform to that combination.” For Episode III, Revenge of the Sith, the creature shop had to fabricate six additional Wookiees, all modeled closely on the original Chewbacca.